Library is not simply a house of books or a sources of information, it is rather a noble and splendid treasure characterized with its cool and calm environment essential to ignite inspire and transpire the vibrant minds who in turn transfer their literary legacy to the descendents in times to follow. A library is a basic need of every educational and research institute. 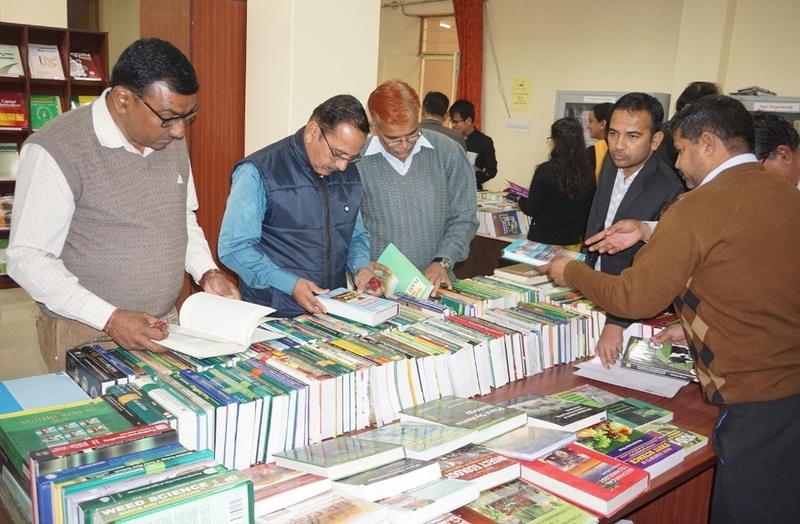 Libraries fulfill the information needs of students, faculties, researchers, scientists, trainees and agricultural officers both in conventional as well as electronic format. In higher education, the library is not only discharging proper delivery of scientific, academic and research information but also plays intrinsic role in the modernization of infrastructure with changing technological ICT devices for adequate delivery of digital based information resources to users. The Agriculture University, Jodhpur came into existence through promulgation Act No. 21/2013 of Govt. of Rajasthan, Jaipur on September 14, 2013 after bifurcation of MPUAT, Udaipur and SKRAU, Bikaner. Presently, University has temporary facility of Central Library at University headquarter run temporary at Agricultural Research Station, Mandor. However, the College of Agriculture, Mandor- Jodhpur and College of Agriculture, Sumerpur- Pali established in the year 2012 as 4th and 5th constituent college of SKRAU, Bikaner as now a constituent colleges of Agriculture University, Jodhpur have the status of faculty library at respective colleges. The library provides congenial environment to its readers with good ventilated and spacious reading room and also dedicated service. To develop information systems, add value to information and serve as a national agricultural library and database. In addition to the regular courses in the major and minor disciplines, students are offered with enrichment courses such as Technical Writing and Communication Skills, Basic Statistical Methods in Agriculture, Agricultural Research and Rural Development Programmes. Central Library: The present central library is well organized. It is also well equipped with modern computers and Internet facilities. It has highly specialized collections of 3600 documents which include Books, Bound Journals /Periodicals, Government Publications etc. The Book Bank facility is also available to all students of this University. The library subscribes 15current journals, newspapers and magazines etc. The library services are catered to 223 students, faculty members and supporting staff members along with other centers of AU. The library e- resource access facilities will be strengthen for providing with the Internet, webopac, digital library access, CDROM databases and online CeRa access Wi-Fi system in future. Library Space: Library is situated at Agricultural Research Station, Mandor- Jodhpur campus. The total floor area of library is 832 sq.m. with seating capacity of 46 students consisting one issue section, reference section and reading space. The library has book bank services, newspaper services, reprography facility etc. for the students. The internet facility (Wi-Fi) is also available in the library which is used freely by the students for their knowledge up gradation. List of holding: The University library has a quantum of recommended text and reference books to meet out the requirements of the undergraduate and postgraduate course programmes of the constituent’s colleges of the University. The total cumulative holdings as number of books are 3200. Library also subscribes 15 journals and magazines of national and international repute. Photocopying facilities: Library Photocopying Service is also available to all students and teachers for urgent work. This facility was started in 2012 and available to all students and staff on nominal charges. Availability of computers and access to internet: The computer facilities consisting of Local Area Network (LAN) with 10 nodes are available at the computer laboratory for the use of UG and PG student and faculty members. E-mail and internet service is available to the students and faculty. The e-learning modules available through ICAR are also available for students. Library borrowing including electronic arrangement with other institutions: All students and staff members are the users of the library. Books are borrowed by the readers (students and staff) for home reading and also consulted by the readers in the library every day. Borrowers should get satisfied that the library document issued is in sound condition and the pages are neither missing nor torn. In case a library document is found to be damaged and the same has not been reported to the Library Incharge, the borrower shall be held responsible for such damage (s) and the borrower shall be required to pay the value there of as determined by the Librarian. Audio-visual and multi-media support: There are several movies pertaining to various fields of agriculture and motivational lectures are made available in the library for the students. Other learning centers like classrooms, laboratories, instructional farms etc. : General natures of folder on agriculture and allied subject have been published for use of the students of this University and farming community of the region. Practical manual have also been prepared as per the curriculum of few courses for the benefit of the under graduate students. College of Agriculture, Mandor-Jodhpur: Library was established in 2012. It has area of 220.72 m2 to provide library services. It has collection of 2356 books. There are 223 UG and PG students using library facilities. The computer facilities consisting of Local Area Network (LAN) with 10 nodes are available at the computer laboratory for the use of UG student and faculty members. Email and internet service is also available to the students and faculty. College library collects and disseminates information of competitive examinations such as ICAR entrance exam, JRF, SRF, ASRB, NET and other specialized information, including curriculum guides, textbooks and accompanying materials, audio-visual teaching aids etc. Reprographic facility is also available to students and staffs. College of Agriculture, Sumerpur-Pali: Library was established in 2012. It has area of 225.4 m2 to provide library services. It has collection of 2538 books. There are 187 UG students using library facilities. The computer facilities consisting of Local Area Network (LAN) with 10 nodes is available at the computer laboratory for the use of UG student and faculty members. Email and internet service is also available to the students and faculty. College library collects and disseminates information of competitive examinations such as ICAR entrance exam, JRF, SRF, ASRB, NET and other specialized information, including curriculum guides, textbooks and accompanying materials, audio-visual teaching aids, RAWE and Industrial attachment presentation in a video mode. Reprographic facility is also available to students and staffs. College of Agriculture, Nagaur: Library was established in 2015. It has collection of 2390 books. There are 180 UG students using library facilities. E-mail and internet service is also available to the students and faculty. Reprographic facility is also available to students and staffs. Agricultural Research Station, Mandor-Jodhpur: Library has area of 142.0 m2 to provide library services. 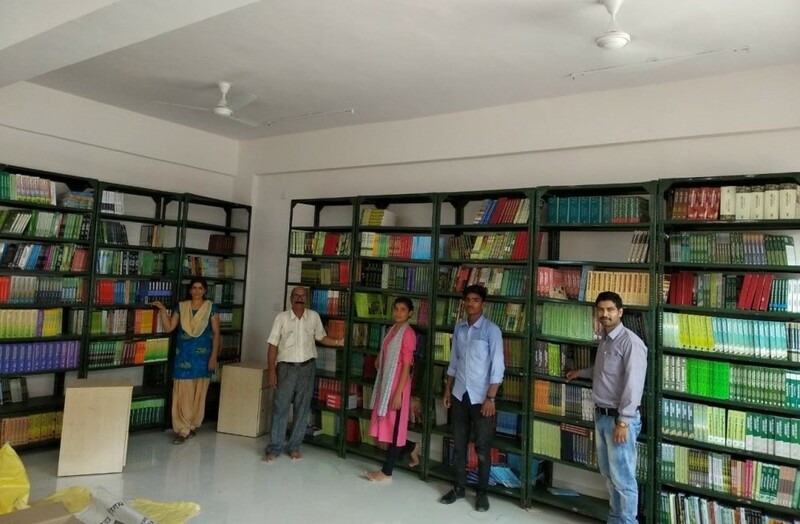 It has collection of 2974 books and 612 journals. Email and internet service is also available to the staffs. Reprographic facility is also available to students and staffs. Agricultural Research Station, Keshwana- Jalore: Library has area of 108.16 m2 to provide library services. It has collection of 1141 books and 250 journals. Email and internet service is also available to the staffs. Reprographic facility is also available to students and staffs. Unique Instructional Material: Special collection of newly published and recommended books and other documents procured for competitive examinations such as Pre-PG exam, ICAR entrance exam, JRF, SRF, ASRB, NET and other competitive examinations is available to the UG and PG students and faculty members, which provides unique opportunity to retrieve references on their subject interest. College library collects and disseminates specialized information, including curriculum guides, textbooks and accompanying materials, audio-visual teaching aids, RAWE and Industrial attachment presentation in a video mode.